On the 25th of February, BSWN successfully hosted the second BAME-led Voluntary & Community Sector Network meeting presenting and discussing funding opportunities with an increasing number of BAME-led organisations representatives. Jendayi Serwah, independent Chair of the Network, opened the meeting with roundtable introductions and the provision of context around the main themes of the encounter; funding opportunities and the sustainability of the BAME VCS sector. Keith Houghton, Community Resource Manager at Bristol City Council, was then invited to present the Community Infrastructure Levy (CIL) opportunity. When a developer in the city undertakes a project, they have to pay a tax to the Bristol City Council by law on every square of their development. This tax is called Community Infrastructure Levy and 15% of its payment is re-invested for local decision making. The amount of money making up the funding depends on the interested area. How can it be spent? - by funding the provision, improvement, replacement, operation or maintenance of infrastructure or anything else that is concerned with addressing the demands the development places on an area. The second guest speaker, Deb Joffe from Quartet Community Foundation, invited the attendees to visit the organisation’s website for the full list of pots of money and programmes currently running. Deb was keen to remind the audience that her organisation is currently working with BSWN specifically to increase applications from BAME organisations, recognising that the BAME VCS sector in Bristol is full of potential to be unlocked and Quartet wants to play a role in building its capacity and resilience. The event continued with the division of the attendees in groups to enable networking and the processing of the information through discussion. The Chair additionally asked for the groups to identify barriers and opportunities. 1) CIL could be used in partnerships, however that raises the obstacle of identifying which organisations to create partnerships with. 2) Having BAME communities represented on the boards of funding organisations is a challenge, but also an opportunity to identify individuals within the community who have the skills to sit on a board, and facilitate their personal development. 3) Accessibility to funding and the necessity to build effective communication between the BAME VCS sector and funders was also brought up as a priority, as well as identifying underutilised assets in the community to fulfil their potential. 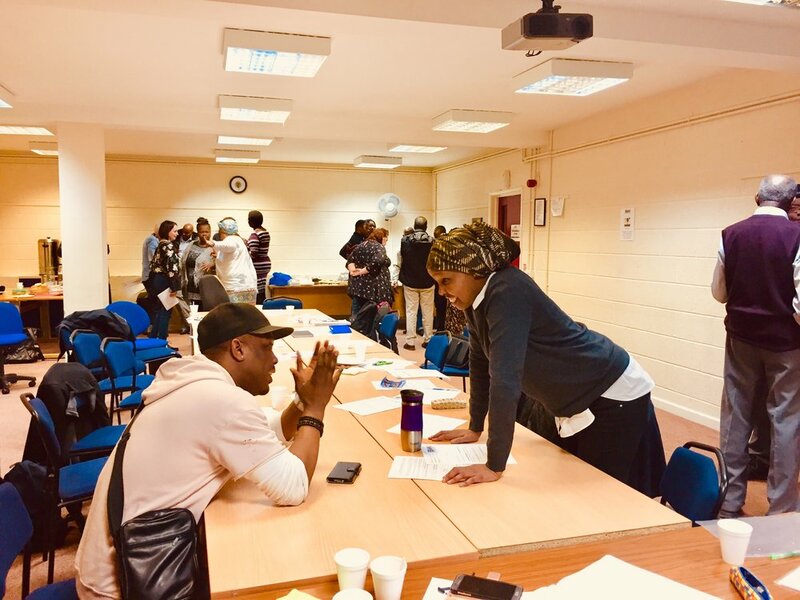 This meeting was attended by more than 30 major African/Caribbean and Asian heritage organisations in the city as opposed to the 25 attendees of the previous event, and BSWN hopes to continue to engage more organisations at the next meeting in April 2019.